Payment is required to hold your place, and will be refunded in full only if child cannot be placed on team. If selected as coach, $10 BWW gift card, coach shirt and choice of practice day/time. If sponsoring this team, finish & submit this PLAYER FORM but do not complete payment; your player fee is included in your sponsorship. Instead, complete a TEAM SPONSOR FORM and pay for your sponsorship there. By clicking the Submit button below, I agree to have read the Liability Waiver & Medical Consent above. I understand my child is not registered to participate until payment is made immediately upon submitting this player form. Once a registration form is received, immediate costs are incurred by PISA including purchase of jersey, screen printing, insurance, etc. 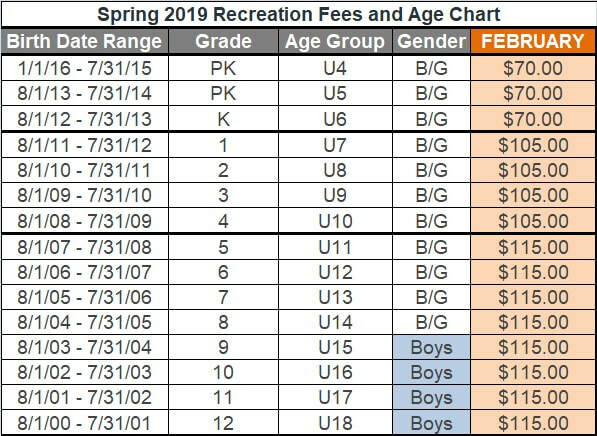 In an effort to continue to keep costs low, partial refunds are only available prior to the final deadline or if your child cannot be placed on a team.